Of the four basic communicative language skills: reading, writing, listening and speaking, the most difficult one to acquire is writing. Why? It’s because even native speakers of a language must be specially taught to write. Yet, writing well in undeniably a master skill which is respected and rewarded above all the others. Many who love to read still shirk at the thought of writing. Ask people to write an essay, a letter or, heaven forbid, an academic paper, even on a topic they may say they know well and you’ll often see them wither like fresh blooms in the hottest desert. Aside from novelists, journalists, non fiction, how-to, copywriters, or poets and politicians, almost no one likes to write (and I’m not so sure about the politicians either). So just how can Spanish language teachers meet the challenge of getting Spanish language learners to write? By having language learners write on topics, themes and experiences that they are passionate about, that’s how. Forget those typical, boring to a fault essays on “What I did last …” You know the ones. Who cares what you did? If nothing really terrific happened, your Spanish language learners may not particularly care about it either. If the experiences we have are dull, boring or bad, language learners may not even want to write about it. On the other hand, if they get a chance to relate “happenings” from their first-ever trip to Mexico, Puerto Rico, Ecuador or Spain, now we’re cooking. If they encountered a hot-blooded Latino or Latina, you can just bet that wild horses couldn’t restrain their writing enthusiasm in telling the story. Think about it; “How My Colombian Summer Love Improved My Spanish”. I’d read it, wouldn’t you? If it were me, I’d write it too (except for certain “juicy” little parts, that is). Wouldn’t you too? Many other events might fire up your Spanish language learners to write with passion as well. A new or favorite restaurant which serves Spanish regional dishes, a Spanish course they liked – or didn’t like. How about a summary of a newspaper, magazine, online story or article in Spanish. Learners could well write about plans they might have for upcoming trips, adventures or “conquests”. How about some “juicy” gossip related to a favorite singer, actor, entertainer, sports figure or other famous personality? 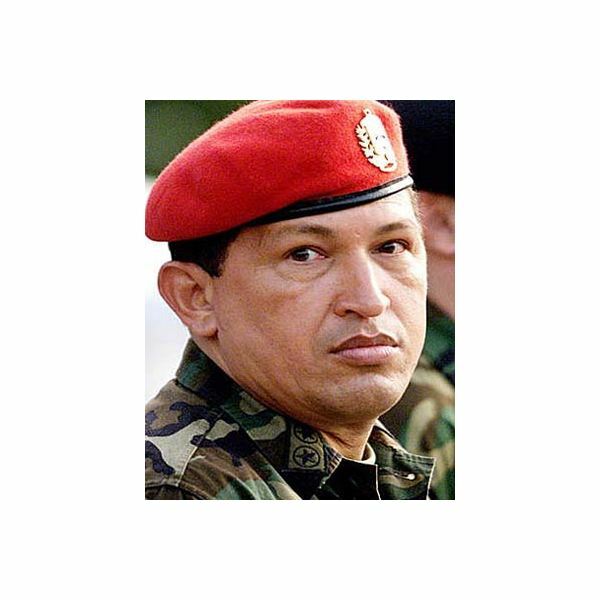 Speaking of which, did you hear what Venezuelan President Hugo Chavez (pictured) called U.S. President Barack Obama? A performance your language learners have seen, a book they may have read or a country, region or even a Spanish neighborhood they’ve “explored”. These are might provide fertile fodder for a passionate written piece – in the Spanish language, of course. The proof is in the details! Everyone has some kind of creative side, a skill, ability or knack for creating and producing about which they could write passionately about. Can they cook a mean Paella? Play a musical instrument? Dance the Tango or Salsa with style? How about sport a guayabera, paint, sketch or sing the latest from the Latin Pop top 20 hits? Don’t forget to encourage the inclusion of images, illustrations or demonstrations as support for their written material. 2. What’s Hot and What’s Not? Has a news-worthy event captured the interest and imagination or your Spanish language learners? If so, then turn them loose on it by encouraging them to express opinions, new ideas and their different viewpoints on the event. The sky is practically the limit on the theme or topics which could be made available for this type of writing assignment. If the occurrence is based in a Spanish-speaking country or on a Spanish-speaking personality, then so much the better. That simply means it will naturally lend itself to a passionate write up in Spanish. Language learning shouldn’t be boring. People can be boring. Routine can be boring. Don’t you dare let your Spanish language learners fall into the doldrums and they’ll boost their Spanish skills in no time flat – and have tons of fun in the process too. (… and so they should). When events are not necessarily positive or upbeat ones, they can still become the basis of passionate writing. Anything your Spanish language learners see, do, hear or experience can be parlayed into passionate writing. From a great night out to a family catastrophe can be turned into an essay, narrative, story, report or commentary that has the power to delight, entertain, provoke, annoy, inform or impassion other readers. If it moves you in any way, it will likely do so to others, one way or the other. We all have similar experiences in life, some earlier or later than others, and each of us is impacted differently much of the time. Our experiences serve to provide others with added richness to their lives, if we but only write about it as we feel it, that is, with passion. Your Spanish language learners might also consider writing up a personalized list. The “ten best this” or the “five worst that”. !Twelve things that …” or “seven places I …” The three most … or “My six …” People are always interested in the experiences and opinions of others in regards to matters which may pique their curiosity. From your favorites to your most disliked, your friends, peers and colleagues want to know. If your fires get revved up about it, then let it flow onto the printed page to evoke emotions from others. The passion of your Spanish language learners will shine through and make for far more interesting and lively reading than a drab recount of a boring vacation, slow holiday or dull period. From discotheques to video games and from hot concerts to cold foreign brews, let your language learners shine through their writing while polishing those growing Spanish language writing skills. Learning Spanish is not an endless cacophony of memorizations, linguistic drills and vocabulary lists. Okay, so it could be, but NOT with YOU, I hope. Have your language learners truly engage the Spanish language by using it for both passionate and everyday communicative activities. Spanish isn’t a language you only speak in class, it’s one you use to convince, convey, cajole, communicate, coo, cuddle, caress, and make love in. So try incorporating passionate writing assignments into your Spanish language learning classes from now on.